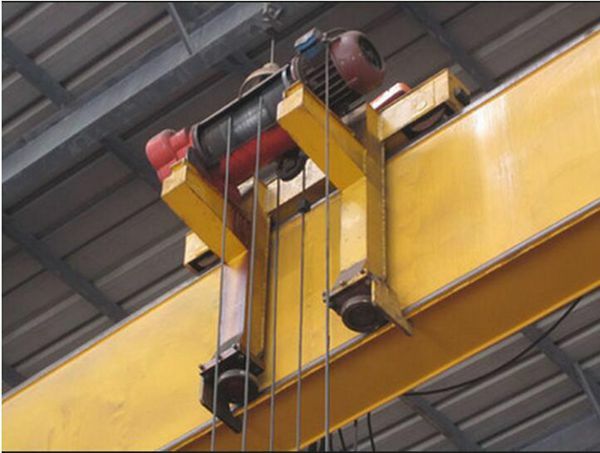 Types of Overhead Cranes Low Price Crane Best Quality Girder Crane Perfect Choice! 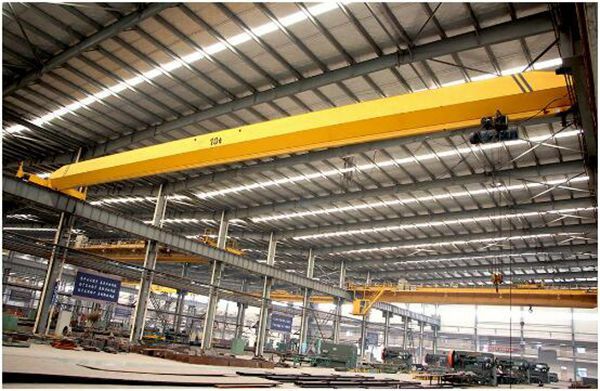 Types of overhead cranes are widely used to lift materials and goods, but according to different working conditions, functions and crane design, different types of cranes are produced to meet customers’ demands. Ellsen Group, one of famous crane suppliers, provides kinds of cranes with top quality and best price. What is single girder overhead crane? 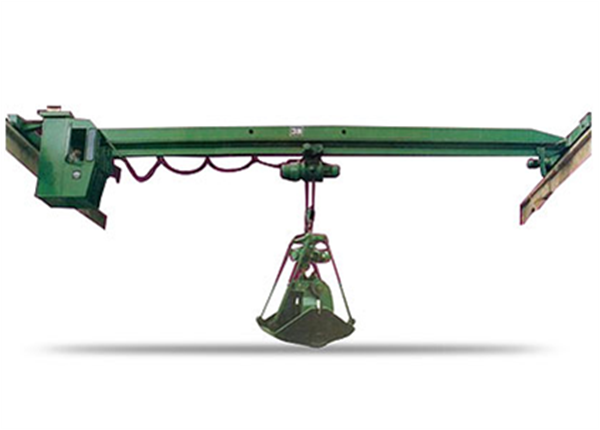 Single girder crane is kind of lifting equipment that stretches across over the workshop, warehouse and stock ground. It looks like bridge, because both ends of girder are on the tall support structure. As a light and small lifting machine, single girder bridge crane has many advantages, such as simple structure, reasonable price. The main girder and end girders are combined with bolts, which makes it convenient to disassemble, assemble, store and transport. Ellsen crane components are universal, so it is easy to replace spare parts. The height of building is low; the pressure of wheel is small. And it is suitable for automatic welding and assembly line processing. Why choose Ellsen double girder travelling crane? Compared with single girder type, double girder type has one more girder, which means it can stand larger loading. Because it can adapt to distinct working environment, it can be used both indoor and outdoor. And another obvious difference is that the trolley of double girder bridge crane runs between two girders. Its cabin has three types: close type, open type and heat-preservation type. And it can be fixed on left or right side. The open direction has end open, side open and top open. Ellsen Group enhances the crane system and brings it up to new level. For example, the height of crane buffer has been increased, the machine is equipped with overload limiter, large screen display and protection device, which ensure the safety of user during operation. Overhead bridge cranes can be divided into two groups: top running bridge cranes and under running bridge cranes, sometimes called under hung. These two different groups of bridge cranes are primarily determined by two factors: capacity and support structure. The former has larger capacity than that of latter. Under running cranes can be suspended directly from the overhead steel for lighter cranes while top running cranes require a bracket off the building support steel or independent columns for heavier capacity. 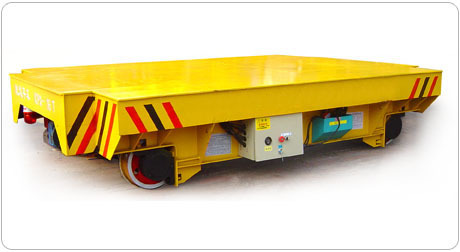 For top running system, the end trucks are supported on rails, which are attached to the top of the crane track. When the facility has issue with headroom, the best choice is top running crane. Because a top running system travels above the track, it allows for additional headroom. When choose underhung bridge cranes? Every crane serves a specific purpose for a specific operation, when the crane’s end girders travel on the bottom of crane track, we call it underhung bridge crane. 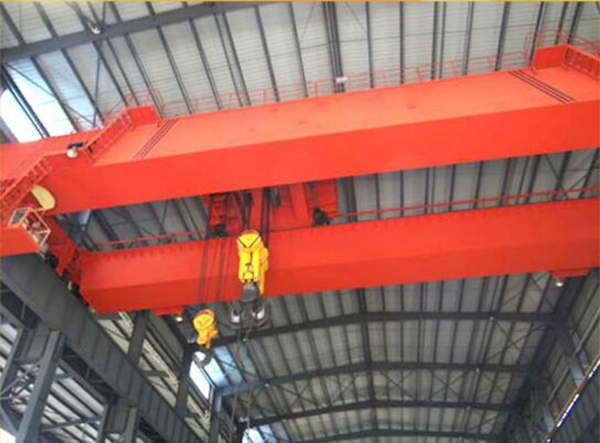 Under running bridge crane can be suspended directly on the crane structure without supporting column, because this bridge crane system has lighter capacity. It has advantages of flexibility, functionality, versatility and usability. What are industrial lifting crane specifications about? Industrial travelling cranes are usually used for lifting duty in the different work conditions, thus users should know basic parameters to choose the suitable equipment. Basic parameters show the main performance characteristics and operation ability. They include weight, lifting height, working class, working speed and span. It is significant to learn how to choose industrial travelling crane based on crane standards, because it is directly related to enhance the productivity, take full advantage of crane function, meet users’ demand, decrease use-cost, achieve better economic benefit and make sure safe operation. 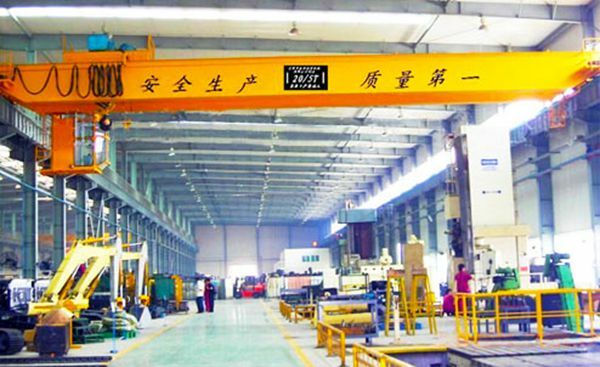 Distinct from fixed gantry crane and jib crane, overhead travelling crane is more flexible and multifunctional. The word “travelling” means it can moves towards horizontal direction and vertical direction. 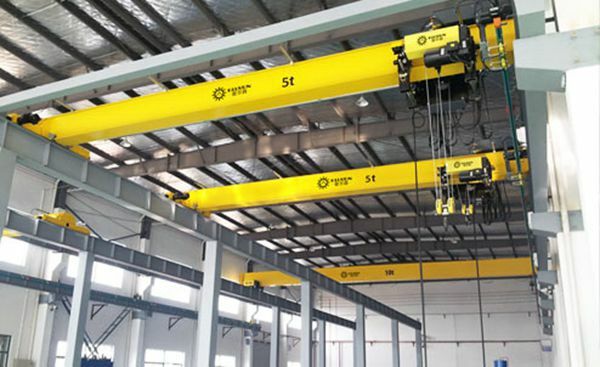 The electric hoist or trolley on the girder can accomplish horizontal travel, end trucks and crane track can accomplish vertical travel, in this way, the overhead travelling crane can expand the moving area and make it easier to transfer goods. Ellsen Company, as a professional machinery supplier, provides crane lifting equipment adapted to lifting, loading, unloading, transferring goods in workstation, port, factory etc. Equipped with electric hoist, it can be used for lifting work in machinery processing, assembly workshop, metal structure workshop, metallurgy and casting workshop and warehouse. Equipped with grab, it can engage in bulk material handling work in industrial department of metallurgy, concrete and chemical industry. 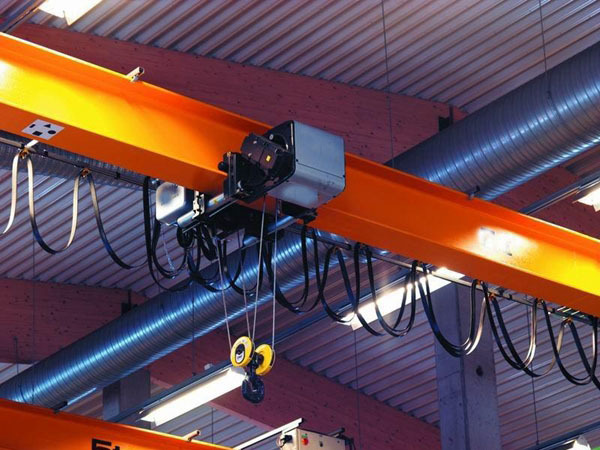 What do electric overhead cranes include? 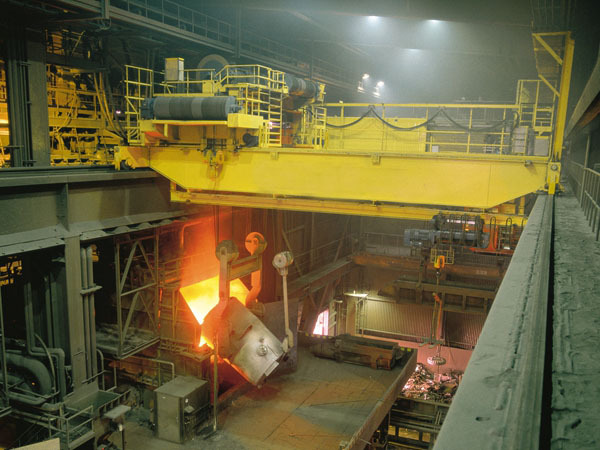 Electric overhead cranes can be abbreviated as EOT. There are various types of cranes those are specialized, but according to installations, the majority can be divided into three categories. First is top running single girder bridge crane, second is top running double girder bridge crane and third is under running single girder bridge crane. Ellsen as well-known crane supplier provides all above kinds of crane equipment with high quality and low price. For electric travelling crane, it mainly includes four types: single girder type, double girder type, bridge gantry cranes and monorail crane. The single girder bridge crane consists of a single bridge girder that is supported on two end beams. And it has a trolley hoist mechanism that runs on the bottom flange of the bridge girder. For double girder bridge crane, it has two bridge girders that are supported on two end beams. The trolley runs on the rails on the top of bridge girders. 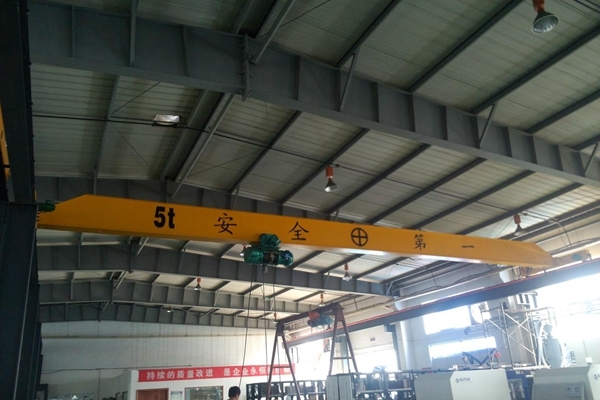 Gantry overhead crane, also called goliath overhead crane is similar with common lifting crane, the difference is that the bridge for carrying the trolley is supported on two or more legs running on fixed rails or other track. These legs take the place of column system and supporting track and connect to end beams which run on the rails. Monorail type refers to crane with only one trolley hoist required. The hoisting mechanism is essentially the same as the regular single girder crane except that the crane doesn’t have a movable bridge and the hoisting trolley runs on a fixed girder. Monorail beams are usually I-beams. Portable bridge crane is adjustable to accommodate low roofs or overhead beams. I-beam can easily accommodate most trolleys and beam clamps have the advantage of versatility. Quick disassembly and assembly make it easy to transport with a job site or from site to site. Super strong locking swivel casters can achieve moving unit easily. In addition, all-steel construction with finieshed powder coat for durability. One common misconception is that overhead cranes are extremely expensive. While certain models can be quite costly, there are also far more affordable options available. With so many different types of overhead cranes to choose from, finding one that fits within your budget is definitely a possibility. All it takes is a little bit of smart shopping to discover a fantastic deal. Best of all, the money that you invest in one of these cranes can quickly be recouped through improved efficiency and higher profits. 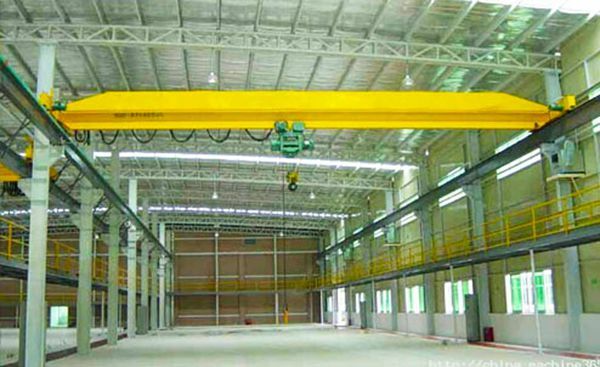 Manual overhead cranes are generally one of the most affordable options. Because they don’t incorporate any electronic components, they are usually far cheaper than electric cranes. These can be a good starting option for your business. Because the hoist does most of the heavy lifting, they can still do a great job of making the process of moving heavy items easier for your workers. Although there is manual labor involved in using these cranes, it is generally far less than would be required to move heavy loads by hand without the assistance of the crane. Freestanding overhead cranes are also another great option for anyone who is on a budget. This is particularly true for smaller models. Rather than being attached to your building, these cranes stand on their own two legs. They are often attached to wheels and can be moved across the ground to whatever location you need within your building. This makes them an extremely versatile choice for getting work done. Buying a small crane like this is surprisingly affordable and can make a world of difference in how easy it is to get work done. 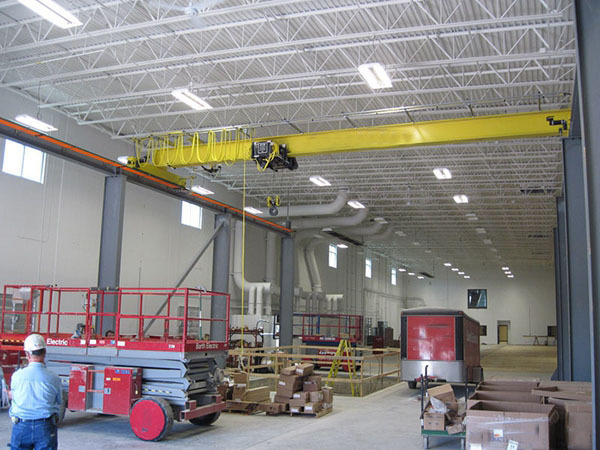 Standard overhead cranes that are mounted to your building tend to be the most expensive option. This is because they often have to be custom fitted to your location. Anytime customization is required, the price automatically goes up. However, that doesn’t mean that you have to rule out one of these cranes. You can still get a great deal on them by shopping around and looking for the best price. Additionally, by working directly with a manufacturer, you can often get a crane at a lower price than you could if you were buying from a distributor. When deciding how much you can afford to spend on an overhead crane, be sure to consider how much time and effort the crane will be able to save your business. This is one case where your investment will truly pay off by allowing you to get work done more quickly. Additionally, having one of these cranes can also help reduce the risk of injuries while at the same time keeping your workers healthier. Because they don’t have to strain to move heavy loads, they are far less likely to wind up taking sick days. When you consider all of these factors, it is easy to see that buying one of these cranes makes a lot of financial sense. This is particularly true when you think about just how affordable today’s overhead cranes can be. 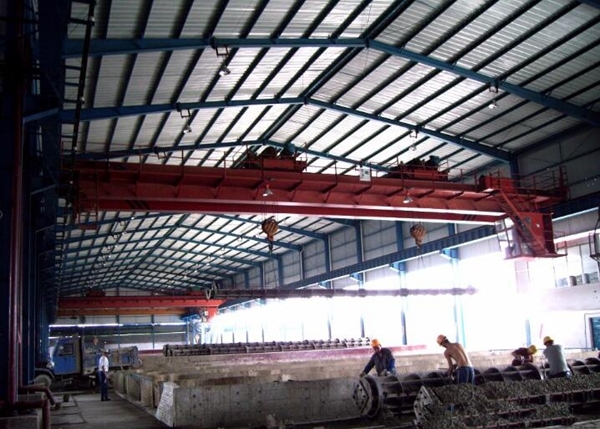 What is monorail overhead crane? A monorail system is a simple lifting device with one stationary beam that has a hoist and trolley. Because of its light design, it can handle materials at fast speed to specific locations, which can improve the efficiency. Monorail system comes into two designs, ceiling and floor mounted. 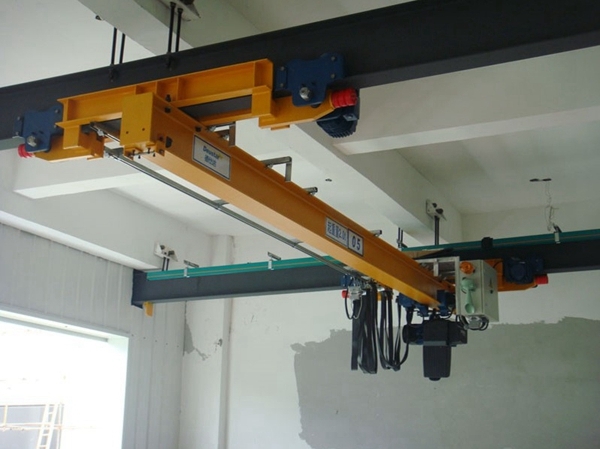 Ceiling mounted workstation bridge crane can make the most of existing building and production floor space. Free standing floor mounted monorail bridge crane has excellent driving properties and smoothly moving. If you are in the market for a bridge crane, also referred to as an overhead crane, it is something that is used for industrial purposes. It will consist of a couple of parallel runways, along with what is called a traveling bridge which will span the entire gap. A hoist will be added, providing the lifting component which will travel back and forth across the traveling bridge. Typically the bridge will be supported by a couple more legs that are running fixed rail, write about ground level. If there is a crane involved, it will be referred to as a gantry crane, but it is larger, it will be called a Goliath crane instead. These are capable of picking up well over 100 tons although they can be made to this smaller and larger amounts. 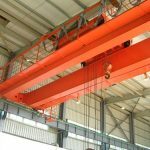 There are different types of overhead cranes that are for sale, and here are a couple of them that are very popular. This crane is designed with two end trucks, a trolley hoist, and a single bridge girder. The hoist will move along this girder, allowing you to pick up merchandise, and move it lengthwise down the bridge girder, to its destination. The trolley is going to run on the bottom of the bridge girder in what is called the flange. If it is a double overhead girder, it is the same configuration with the exception that there are two bridge girders and the rails will be at the top. For running overhead cranes, they will travel on either the top or bottom of rails that are mounted, usually on a runway beam. These are going to be supported by steel beams that are brought in that must be installed, or it can use the existing columns of the building. The engineer that installs it will be able to tell if the existing girders will provide enough support. If not, they will have to bring in ones that are specifically designed to run with these particular overhead cranes so that the entire unit does not collapse. 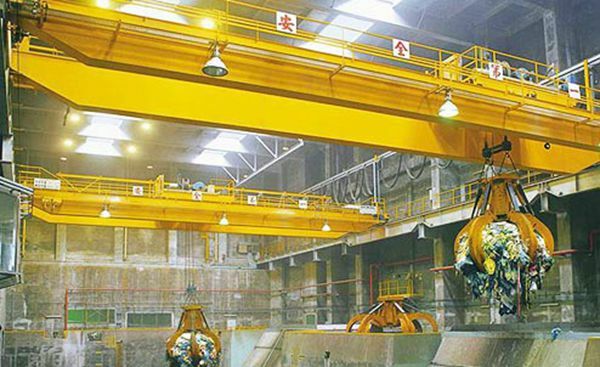 Overhead cranes that come in different variations usually have a gantry crane. These are a little bit different than regular overhead cranes, decidedly different because of the legs on either side which provide extra support. By adding these legs, it is no longer necessary to have a supporting column or runway system, and these are typically used for heavier loads. When you are searching online, and you find these different models that are for sale, they will tell you how much weight they can handle. After doing a little bit of research online, you should have no problem at all finding one that will help you with your particular business. The size, dimensions, and the materials that are used are all based around functionality and the weight that will be moved. If you can talk to somebody on the phone that is selling them, or communicate by email, you can usually find out which one will work best for your business. 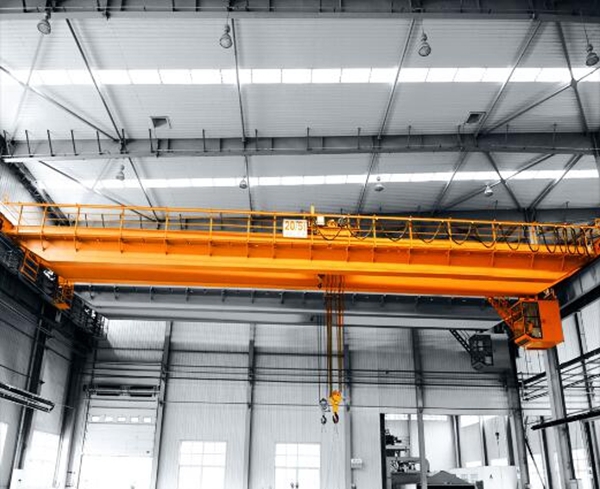 Some of these companies have been producing overhead cranes for decades, and will automatically know what type of crane will work best for your company. 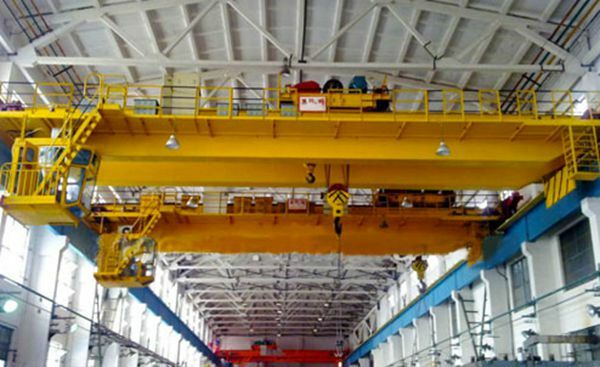 How to choose suitable type of overhead crane? Purchasing an overhead crane is a matter not to be taken lightly. Installing an overhead crane is usually a long-term investment that consumes considerable monetary resources as well as time. The money and time spent are recouped by improved plant management, increased plant capacity and improved worker safety. However, these and many more advantages can only be attained by choosing the best system for a plant specific needs. This is not possible, even in the slightest bit if you do not acquaint yourself with the various systems that are available, the advantages, capacity and limitations of each of the various available. Herein is a guide on how to go about choosing an overhead crane that suits your every need. #1. The under running crane In this configuration, the end truck runs on the top side of the runway beam. This configuration is best deployed in instances where the headroom is of major concern and or the crane needs to lift heavy loads. #2. The top running crane This configuration is characterized by the end truck being placed on the lower beam on it flanges. The configuration is cost effective and easier to guide the host but sacrifices the headroom and load capacity. After acquainting yourself with the various systems, you should assess your need and circumstances. For instance, circumstances are different if you are installing cranes in an existing structure as opposed to installing the crane in a new structure. This is primarily due to the overhead room requirements of the various systems. You should also assess the type of load that you may want to lift with the crane. Ideally, the crane should be able to handle load above your estimated needs. The results of this assessment will help you determine the load capacity of the crane to purchase. Also, it will help you determine the best system to acquire. Beyond the service capacity of the cranes, you should look into the structural components of the prospective cranes. The structural components of cranes should be able to handle the load needs and also be of appropriate weight, especially if you intend to move the crane in the future. To this end, there is a choice of steel or aluminum crane. Steel cranes are able to handle more weight, but their downside is that they are very heavy. Aluminum cranes are lighter but have a limited service load. Finally, you should analyze your automation needs. 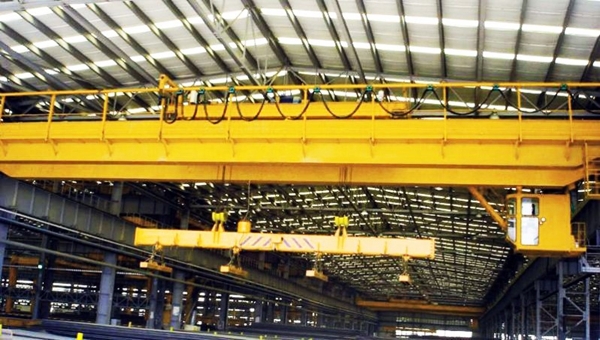 If you want to have a reduce labor force, you should consider going for the electric intensive overhead cranes. These cranes can be operated with as little as one or two people. However, they are more expensive. Mechanical versions are the better option if you intend to have little energy consumption by the crane. Choosing an inappropriate crane can be costly in the long run. Moreover, the crane may pose safety risks, especially if the crane in question does not have the capacity to meet the demands of the tasks it should handle. Zhengzhou Ellsen Machinery Equipment Co., Ltd, a famous crane supplier and manufacturer, specializes in producing and exporting lifting machinery equipment for years and has much experience about business and technology. 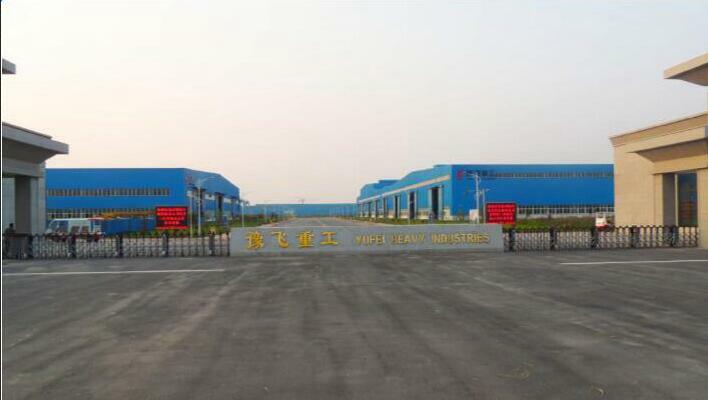 Its factory is Yufei Heavy Industry Group, a leader with 55 years history in crane industry.